When Bayer pharmaceuticals launched its new painkiller, Heroin, in 1895 as an over-the-counter medication, it was promoted as a “safer” alternative to morphine. History suggests this is one of medicine’s more dangerous marketing claims and demonstrates how quickly we forget the lessons of the past. The public distribution of opioid drugs, like heroin, remains a tragedy today. Yet when we think of opioid overdoses we tend to imagine a young person on heroin in one of our major cities. While more than 1000 Australians a year are killed by accidental opioid overdoses — a similar number to those killed in car accidents — heroin is no longer the most likely cause. These deaths occur most commonly in those over 30 years old, living in regional towns, who accidentally overdose on prescription drugs. 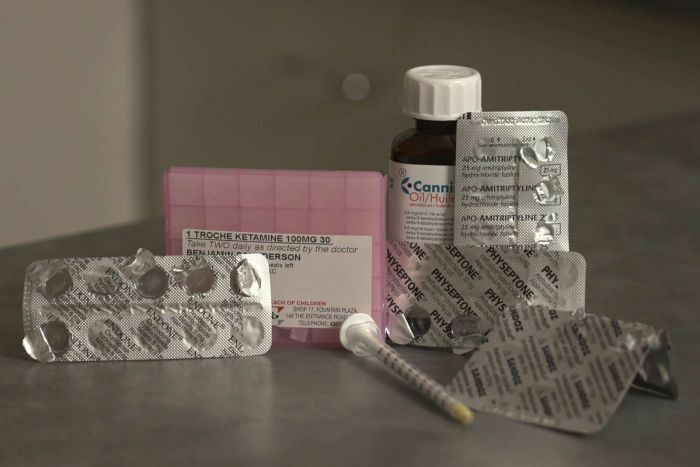 The faces of opioid drug deaths in Australia are increasingly middle-aged and older people, who have the aches and are recovering from the operations for which they may have received their initial opioid prescription. Should drug companies be liable for marketing addictive medicine? 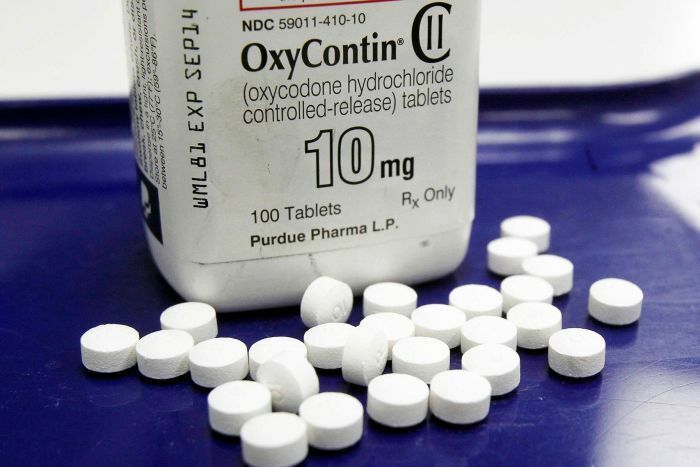 There has been so much concern over the rise in addiction and overdose of opioid painkillers — such as oxycodone — that Oklahoma in the United States recently settled a lawsuit for $270 million against Perdue Pharma, the manufacturer of oxycodone brand Oxycontin. Australia’s 1000-plus deaths a year pales compared to the US experience of 47,000 Americans dead in 2017 alone. That is a lot of pain to be shared. Americans who have struggled with dependence on prescriptions opioids or watched as their loved ones or communities are devastated, are looking for someone to blame. Governments — such as Oklahoma — are left with the bill for addiction treatment, and the cost of caring for those affected. They are looking for someone to help shoulder that burden. Increasingly Perdue Pharma, and the Sackler family that owned it, are being targeted in public campaigns and in lawsuits that seek to apportion to them at least some of the blame. The action against Perdue claimed the company had downplayed the addictive risks of opioids through aggressive marketing in an attempt to generate greater prescribing by the medical profession. Were doctors charmed into prescribing by marketing spin? How much did Perdue Pharma’s marketing techniques influence the prescription patterns of doctors? The company was known as an industry leader in developing marketing techniques that targeted doctors with gifts and speaking tours. Doctors were motivated by the right thing: a desperation to find treatments that could help their patients with pain. We also believed ourselves to be capable of receiving gifts from pharmaceutical companies like Perdue, while not being influenced by the marketing messages that accompany them. The marketing industry is built on the premise that behaviour can be changed by increasing visibility and by inducements, but I have lost track of the number of doctors who say that these inducements do not influence their practice. The call to reduce the dose and sheer number of opioid tablets that is finding its way into the community is beginning to be heeded. The average dose of opioid prescribed has inched downward in the past few years but the number of prescriptions is still rising, particularly in regional areas. Turning the tide is hard. Telling patients with back or joint pain that they should gradually exercise more and lose weight rather than take pills may be the message with the best chance of improving their wellbeing and activity, but it is not necessarily a welcome message. When the medicine that makes the news is the miraculous and most technologically advanced it seems incredible that movement and weight loss are the best we may have to offer for such common complaints. The increasing incidence of obesity in Australia shows how difficult it is to put this advice into practice for most people. Reversing doctors’ prescribing habits will take some time. Changing medical practice takes time, even when evidence mounts a compelling case. There are a number of encouraging programs commencing around Australia, including the Victorian Safe Script initiative, which introduces real-time monitoring of prescriptions throughout the state in an effort to curb the most problematic opioid dispensing. Successful programs now run in hospitals to reduce the dose of opioids being dispensed after surgery. Even now, as the costs of increasing opioid supply become clear, doctors can struggle to convince patients — who now often expect opioids to be prescribed — to use other simpler pain medication or limit their doses. A consumer advertising campaign — marketing of the problems and risks of longer courses of opioids, and the dangers of mixing sedative drugs — is necessary in order to inform patients about why doctors are changing the way they prescribe. Patients have an important role to play. What can you do? Opioid medications come in all shapes and sizes. The most commonly prescribed drugs are Endone, a relatively short-acting opioid, as well as its long-acting relatives Oxycontin and Targin. These, along with codeine, tramadol and tapentadol, are all members of the opioid family, which includes morphine and heroin. If your doctor suggests a prescription of one of these drugs following a minor procedure or as the treatment for low back pain or headaches, remember that there are often safer treatments available over the counter that are just as effective. Simple analgesics such as paracetamol and anti-inflammatory drugs can be very effective for even significant pain such as a fracture. Treatments not involving medication can also help — gentle exercise is excellent for lower back pain — and mindfulness approaches are proven to be effective in managing pain conditions. If you and your doctor believe it is appropriate for you to have a prescribed opioid, then make sure you only take home the minimum amount required. If you have been taking one of these drugs for weeks then you need to ask yourself and your doctor questions over the long-term consequences — and attempt to find alternative ways to manage your pain. Finally, if you have taken these medicines previously, and like most Australians, have kept the left-overs then drug-bust your first-aid cabinet for unused opioids. Data suggests people generally only take a third of the quantity prescribed and the leftovers often act as a reservoir for future misuse or passed on inappropriately to friends or family. Dr Jennifer Stevens is a pain specialist at St Vincent’s Private Hospital in Sydney who has overseen a program to reduce opioid use at the hospital.